Wash and soak rice for half an hour in water.Drain the water.Use the same water for boiling. Cut fesh pineapple into small cubes. In a pressure pan,Saute spices in ghee and and add rice.Saute for a minute. add water,milk and food colour.Cover with lid. Cook on low heat till 3/4th is done or water content is absorbed. Add sugar and pineapple pieces and pineapple essence and pour ghee. Heat a tawa and above that place the pan and close it with a lid. You can garnish with cashew nuts and raisins. 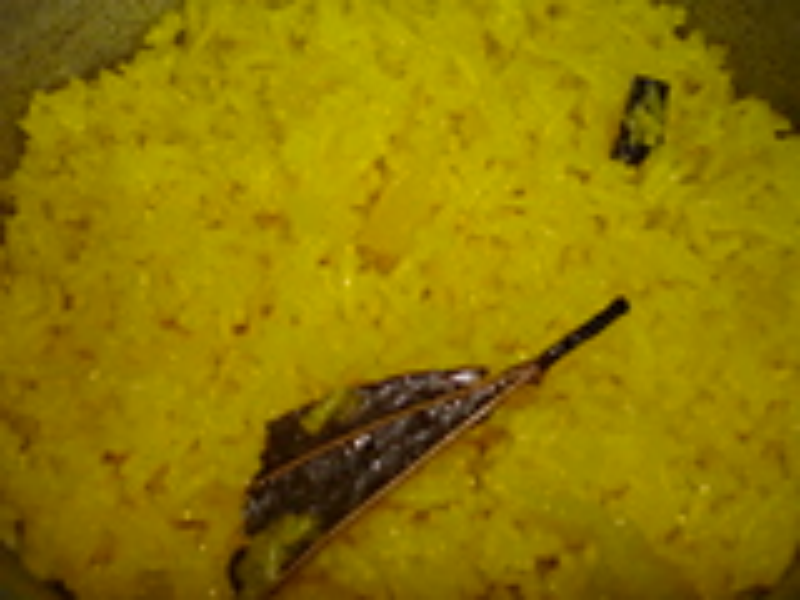 hi rajeshwari,i tried your recipe for zarda, it turned out really gr8 everybody loved it.Thank you so much for sharing the recipe.